Live in your lynx! 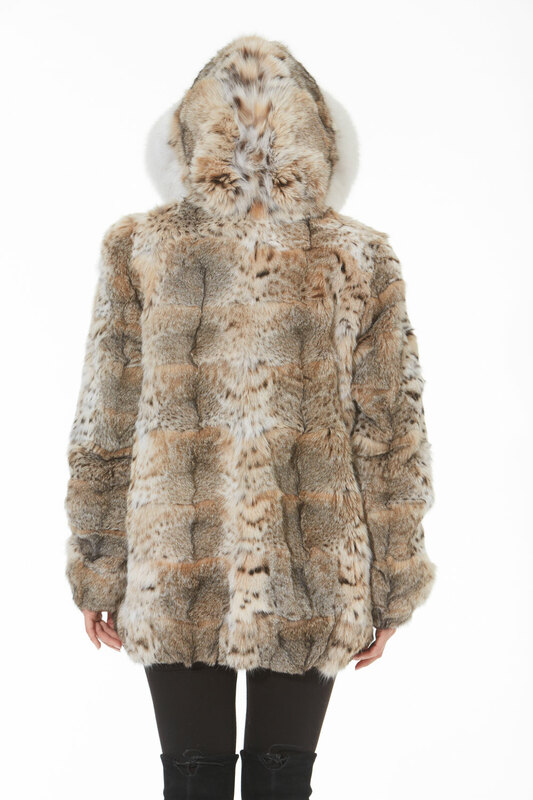 A hooded lynx jacket with white fox trim is sporty with an extra dollop of style! 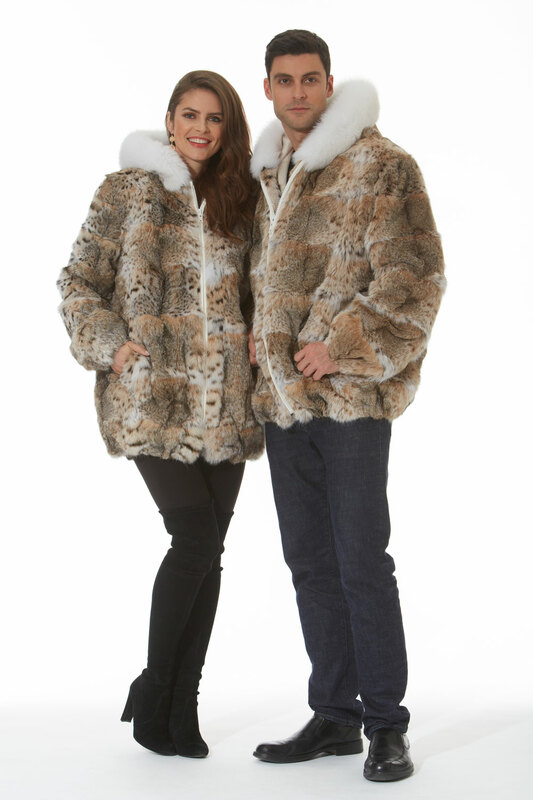 You’ll wear this fantastic zippered lynx jacket every day of the winter! 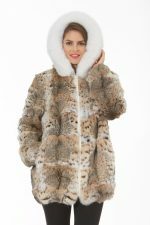 Perfect for apres ski, or waiting for the bus to the office, in the country or on the city streets, this lovely fur that makes a statement that you love style and enjoy dressing well. 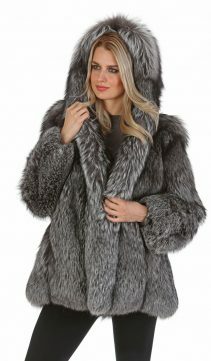 The white fox trimmed hood will keep you extra warm and give you a gorgeous feminine feel and the jacket zips up easily so you can always be on the go while looking great! Fur Content: Natural Cat Lynx. Natural White Fox. 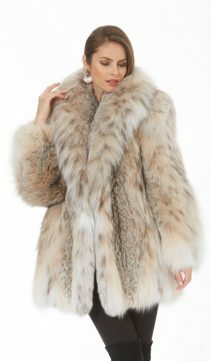 Fur Origin: USA. 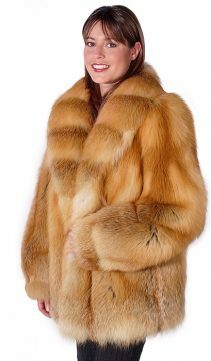 Length: 30" from neckline to hemline at center back. Side Seam Pockets. 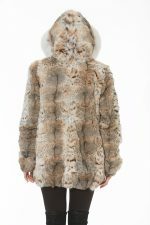 Hook and Eye Fur Closures. Available in a wide range of sizes. Call if you don't see your size.